WASHINGTON (June 6, 2017) –- (RealEstateRama) — REALTOR® Magazine and the Good Neighbor Society have announced the recipients of the ninth annual Volunteering Works grants and mentoring program, which matches Realtors ® who work on small-scale charitable efforts with mentors and awards them grant money. The five Volunteering Works recipients will receive a $1,000 seed grant and a year of one-on-one mentoring from a member of the Good Neighbor Society, which is comprised of past recipients of the National Association of Realtors®’ annual REALTOR® Magazine Good Neighbor Award for volunteer service. 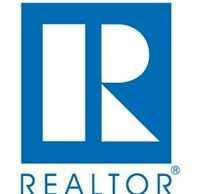 “Realtors® have an extraordinary reach into their communities. Many of them guide, mentor and volunteer in the places they live and work, and these Volunteering Works recipients are improving lives in ways that will continue far beyond 2017,” says NAR president William E. Brown, a second-generation Realtor® from Alamo, California and founder of Investment Properties. The Volunteering Works recipients were selected based on their devotion to their communities through volunteer work and the potential for their good works to be expanded or improved with the help of an expert mentor. Their mentors are past winners of the Good Neighbor Awards, the highest honor that NAR awards to Realtor® members who are involved in community service. Since 2013, Cunningham the board president of Marion Therapeutic Riding has helped provide therapeutic horseback riding for children and adults with mental, physical and emotional disabilities including autism, Alzheimer’s and multiple sclerosis. Cunningham’s goal is to create a steady source of revenue by establishing two major annual fundraising events. She will receive guidance from her mentor, 2014 Good Neighbor Gail Doxie of RE/MAX Realty Group in Fort Myers, Florida, about creating compelling fundraising events and engaging board members. In 2008, Johri founded Pure Mutts Animal Sanctuary after Hurricane Ike left many pets injured and homeless. She runs a no-cage shelter for dogs that are sick, older or injured – often taking in dogs that other shelters are unable to care for – and finds them permanent homes. Johri’s goals include training domestic violence survivors to be pet sitters or dog groomers and taking in dogs whose elderly owners are going into assisted living facilities. She will receive guidance from her mentor and 2013 Good Neighbor Brenda Breit of the Empowered Team, LLC in Scottsdale, Arizona and co-founder of Lost Our Home Pet Foundation. For the last three years, Lobo’s Community Miracle Makeover has facilitated home makeovers for people in need, including people with cancer or disabilities, or people moving out of a homeless shelter into an apartment. She recruits volunteers willing to work on these projects and donate furniture. Lobo’s vision is to rent a storage facility to hold donations to enable her to help more families. Lobo will seek advice from 2016 Good Neighbor Cindy Barrett of Keller Williams Realty in Spartanburg, South Carolina, co-founder of Christmas In Action, on obtaining nonprofit status and fundraising more effectively. In 2014, Tanner founded Real Estate Agents Recycle, which picks up unwanted household items from home sellers and donates them to local nonprofits. The effort keeps waste out of landfills, employs several people, and supplies nonprofits like Salvation Army and Habitat ReStore with household goods to help the people they serve. Tanner’s goal is to build the base of participating real estate practitioners and generate consumer demand. Tanner will seek guidance from 2014 Good Neighbor Beth Smoot of NextHome City of Oaks in Raleigh, North Carolina and founder of the Green Chair Project, on marketing, recruiting and training volunteers. Kimberly Watson, Lions Realty Group, Quartz Hill, California . In 2014, Watson founded Project Joy Inc., which fills gaps in services to meet the needs of homeless shelters and underfunded schools. She has provided winter coats, holiday meals, Christmas gifts, and college scholarships that have impacted 4,000 children. Watson’s goal is to properly brand and secure funding for core programs and to create an annual signature fundraising event. Watson will be advised by 2016 Good Neighbor Ed Liebzeit of Jackson Hole Sotheby’s International Realty in Jackson, Wyoming, board president of Community Safety Network, on creating a new fundraising event, restructuring her web page and incorporating social media. Wells Fargo Home Mortgage is the nation’s leading originator and servicer of residential mortgages, offering home loans to consumers through the country’s largest network of mortgage locations and bank branches, online, and via phone. With more than 7,500 Home Mortgage Consultants across the country and robust digital capabilities, Wells Fargo is committed to meeting Realtor® expectations and homebuyer needs. Focused on a culture of caring for communities, Wells Fargo is a proud new sponsor of the Volunteering Works grant and mentoring program to recognize the extraordinary contributions made by Realtors® in the communities where we, together, live and serve.